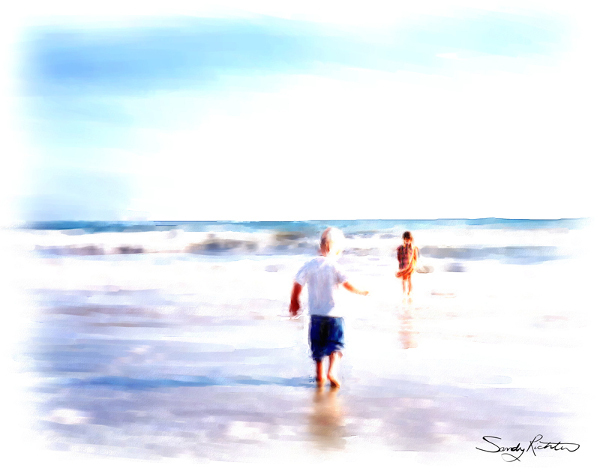 This fine art piece is a digital watercolour inspired by a wonderful memory of a time I spent with my daughter and son at the beach. As any memory it is faded around the edges and the details are waining a little as well but as with any great memory that is tucked away and earmarked as special in our minds the vibrancy and essence of the moment will never fade away. This piece is part of a private collection and not available for purchase.